Noshing on ten-cent French dips was the original plan. The original plan was crazy. I don't know what I was thinking. I don't know how I convinced myself and four other people this was a good plan. There were more people there than...the population of Wasilla, Alaska. Yes, I'm going to make this comparison as much as I can. Again. And again. We did have a Plan B. 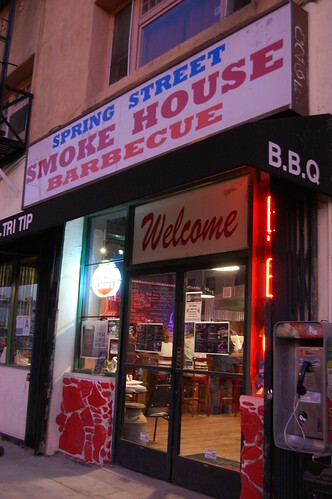 Just a few blocks away from Philippe's is Spring Street Smoke House. I'd been there ages ago with Curly Fries and a few other old co-workers pre-remodel. I remember liking it. Our table (and every other table) had a full loaf of bread on it. Yeah, we didn't get it either. It remained untouched. The restaurant does not have napkins. Just this. 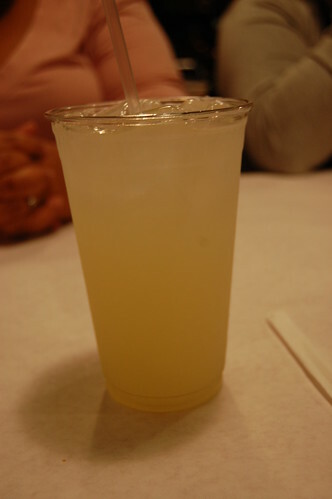 My limeade ($2.00) was too sweet for my liking. That didn't stop me from downing two glasses, though. I have problems. Here's my meal in its full glory -- a four-baby-back-rib basket ($7.95), hush puppies, and macaroni and cheese (two sides for $2.00). 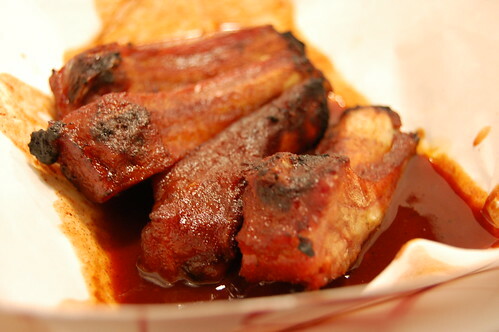 The quality of the meat was good, but I still prefer the sauce at The Original Texas Barbecue King. You can order your sauce mild or spicy. I chose spicy, of course. It had a tang and a kick, but the tang was a tad too overpowering. 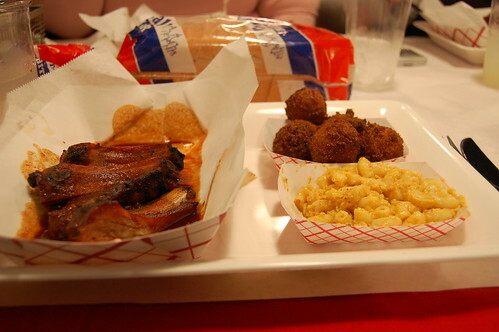 Spring Street Smoke House wins with sides. The mac 'n' cheese delighted me. I love hush puppies. These were a bit dry, but I loved them still. Oh, hush puppies, you make me so happy! Hush puppies! Even saying it makes me smile. Sadly, service is seriously lacking at this establishment. The waitstaff is friendly and well-meaning but totally flaky and inattentive. 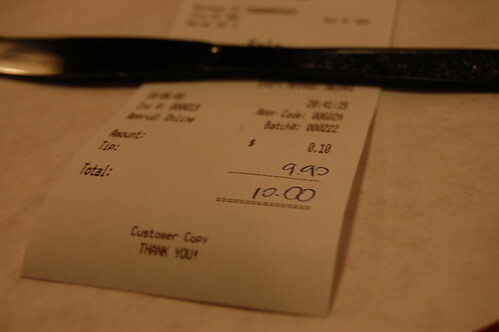 Check out how much tater was charged for her meal. Maybe our server thought she was at Philippe's. the loaf of bread is hilarious! many bbq joints give you white sandwich bread to accompany the meal (i use mine to sop up sauce), but i've never seen an entire loaf of bread offered. BBQ places love their cheap white bread. that mac & cheese looks so good! 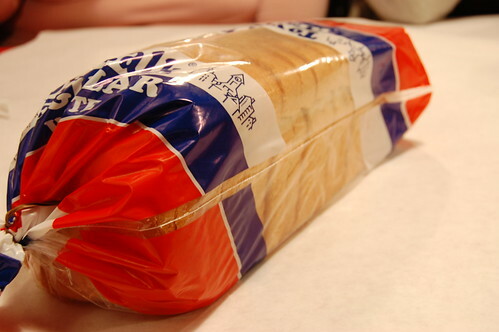 A bag of slice white bread with your meal tells you that you're eating authentic Southern cooking. Now I want some mac & cheese! 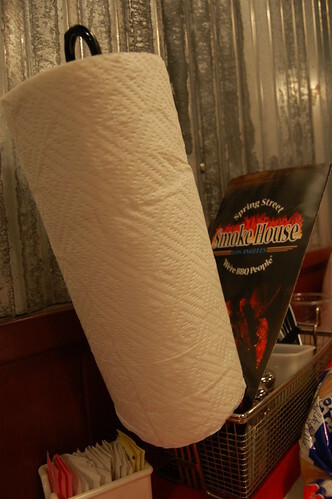 Here in Tennessee, the land of bbq, there are multiple restaurants that provide the roll of paper towels and the loaf of white bread on the table. 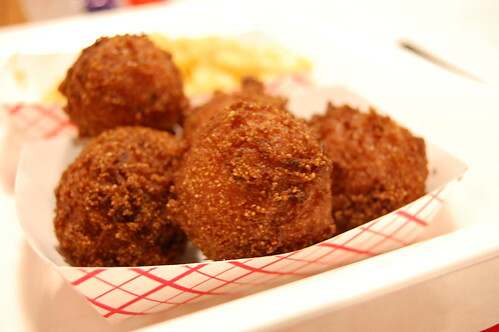 That being said I also love hush puppies and wish I had some right now (9:30 AM). That mac & cheese looks amazing. Glad you enjoyed your meal and LOL at the bill. Had so much fun! Agree re: the limeade, but I still managed to drink a lot, too! I am also delighted by your mac n cheese. limeade makes me happy. i have a glass a day. white bread...as it's been said...authentic rib joints offer it to sop up sauce. that receipt is too much! That tater is a generous one. =) I've eaten at a lot of southern places that provide white/wheat bread as a side. I still don't get it. 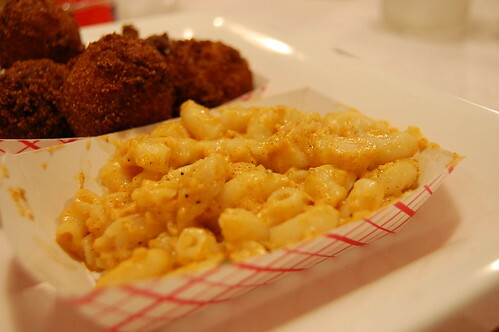 that mac & cheese made me want to lick the screen. Ah, white bread and bbq... loves. 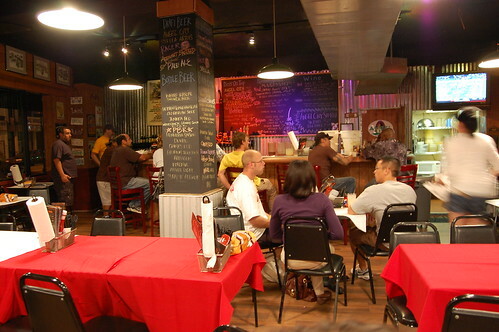 You might have been eating North Carolina style bbq which is more vinegary than others. Bread is a must on BBQ. I thought everyone knew that. But then again I live in Kansas City, we are serious about our BBQ.